Something stirred deep in my soul the first time this verse stood out to me. Sharing the Gospel? Yes! Loving others enough to share my life with them? Letting them in? Now that was a completely new level of selflessness and love. I stood at her sink, my arms covered with suds up to my elbows when it hit me – Maybe THIS is what both sharing the Gospel AND my life could look like. At this point, I was discipling a lot of women in one on one Bible studies each week and it was a beautiful thing to share the gospel with them, but my heart was beginning to hunger for more. I couldn’t get the verse from Thessalonians out of my heart. 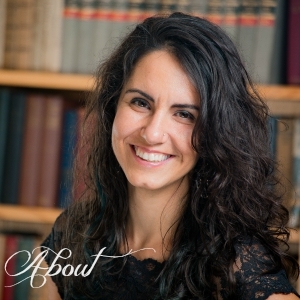 She had three small children, so sometimes it was easier for me to come over to her house as we made our way through the book of John. And while the kids were getting ready for bed it was the most natural thing in the world for me to pick up the dish towel. We started doing life together. Not just studying the Gospel, but living out the Gospel in our every day lives with each other. If she and her husband had a fight or a bad day, I saw it. If I was grumpy or stressed out from work – they saw it. We lived real, raw, life where we could each see it and point the other back to Jesus. From that friendship and several others I began to see the power of what I now affectionately call ‘lifestyle discipleship’. It’s inviting people “in deep”. Into your story, into your life, and at times into your home as you walk life together with the Lord. The discipleship side of it is “come learn” as we live life. Sometimes it looks like formal Bible Studies and Small Groups, but other times its – come over for dinner, watch how we parent our children, go for a hike, pray or play games. Sharing life is just that. Sharing life. Starting at the Discipleship House has taken this verse to a whole different level for me as I not only get to share my life with everyone here, but also create a place where they can learn to begin to share theirs. To learn its ok to cry, to shoulder one another burdens, and to laugh. Oh the laughter! It’s my favorite part right now! I love our teaching times, when the students are engaged with and in the Word, but I find my soul smiling when the halls ring with laughter. Our God is a joyful God! 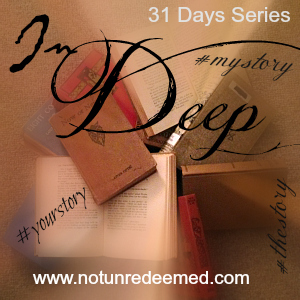 Categories: 31 Days - In Deep, Discipleship | Tags: Discipleship, In Deep - A 31 Days Series | Permalink. The room wasn’t small by any means, but it felt too tiny to contain the depths and the grandness of everyone’s stories as they shared. Each story had it’s own unique font and cover, but the current page in every story read the same. They wanted to be known. From the depths of who we are, we each carry a deep desire to be known and to be understood. And as much as we like to think we are okay on our own, the desire to be known stems from the heart of the Father’s plan for us. It’s in knowing and being known that we can first taste the freedom of being unconditionally loved. In 2010 I first tasted the freedom of being known and loved while I lived and study with 40+ other students at Focus on the Family. When you live, sleep, study, and worship for months in close quarters with others, it quickly becomes impossible to hide your mess. They see it all – your pain, your sin and ugliness, your beauty and your potential. 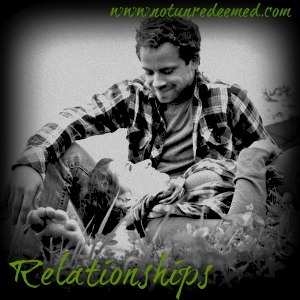 When my blots and smudges were known and read by others I discovered something radical: I was STILL loved. When they knew it all and then chose to still love me in spite of what they knew; it became a powerful force that launched me towards freedom. That experience wrote some of the most transformative pages in my story. This October for a ’31 days’ series, I invite you to read a few pages of my story as I journey in deep with community again. This year has held a lot of changes for me both personally and professionally, and in September I joined a different team and ministry. I’m now living a dream of mine that was birthed five years ago at Focus – to be an RA at some type of leadership school or ministry. I’m officially called the Cultural Coordinator for a Discipleship House of young adults – but what I really get to do is to love, teach, and walk with nine beautiful students through life. Helping create a safe place to know and be known. These incredible friends have chosen to say ‘yes’ to each other and to grow in deeper with the Lord for the next nine months. The honor is mine to go in deep with their stories and learn alongside of them. This series will be varied and flexible – some days it might be funny stories that always spring from living with your best friends, or it could be something the Lord is showing me in my own story. Community living is like your church small group – only you live with them and commit to working out your differences with them. When you live together – it’s much harder to pretend there isn’t a problem. But it’s also a lot more fun because you don’t have to say goodbye each week. And so I invite you to read along for the next 31 days and take a peek into my story, and perhaps the stories of a few others. How would your life or perspective be different if you believed the Lord loved (even LIKED) your story and the one He is writing with you? Even the ‘in deep’ parts? 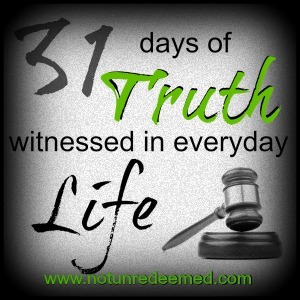 Categories: 31 Days - In Deep, Discipleship, FLI, Friendship | Tags: Community, Discipleship, In Deep - A 31 Days Series | Permalink. 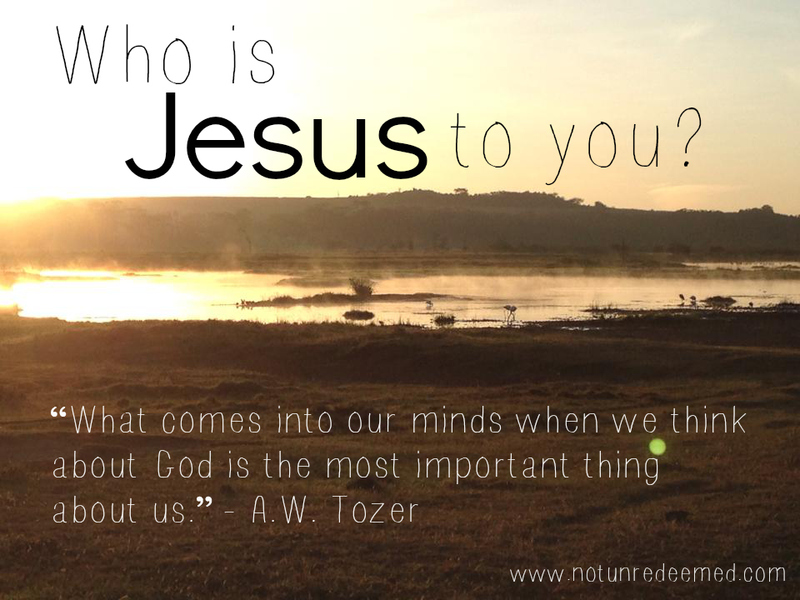 “Who is Jesus to you?” The question of who Jesus is, without a doubt, is one of the most important questions ever to be asked. And who Jesus is personally to us, is a question that cuts through everything – sick kids, stressed lives, mental fog, complacency, self-focus, and pain. ‘Who is Jesus to you’ is a question that invites vulnerability and realness as it cuts to the core of what is really important. It cuts straight to reality – what really is. Who Jesus is to us in the moment we answer that question, says more about us, what we are going through, and our spiritual state than hours of conversation could reveal. Who Jesus is to us – to me and to you – reveals the basis of truth in our lives. It IS the most important thing about us. – Refocus and remember who He is (and that becomes a comfort in our present circumstances). 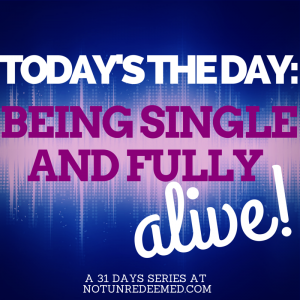 – Rejoice and spread the joy of where we are seeing Him move in our lives, and praise Him for who He is. It’s a question you can’t go wrong with, and it breeds growth and community. As we grow in our understanding, knowledge, and love of God, who Jesus is to us will change with the season we are in. Sharing Jesus in us, cannot fail to encourage anyone hearing or responding to the question. Tonight, after several weeks of not talking to my close friend Trina (who blogs over at trinaholden.com), I shot off a quick text to her asking her this question. Katie: “In one word, who is Jesus to you right now?” Trina: “Jesus is enough . . . Though Seth vomiting at dinner means I won’t get to go to church tomorrow. 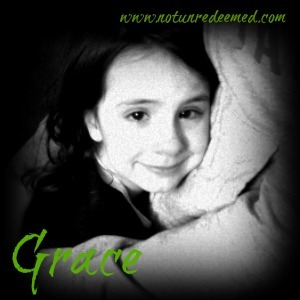 His grace covers even this”. Her response not only reminded her of the Lord’s grace amidst vomit, it encouraged me to remember that Jesus was and is enough for things I’m dealing with too. So friends. Pause. Today, right now. In this moment, when you hear His name, what is the first thing you think of about Him? Let that truth* penetrate your heart and the knowledge of it anchor your day. Right now? Jesus is a Protective Warrior to me. Who is He to you? I’d love to know and be encouraged by it. I would be honored if you shared it with me in the comments. 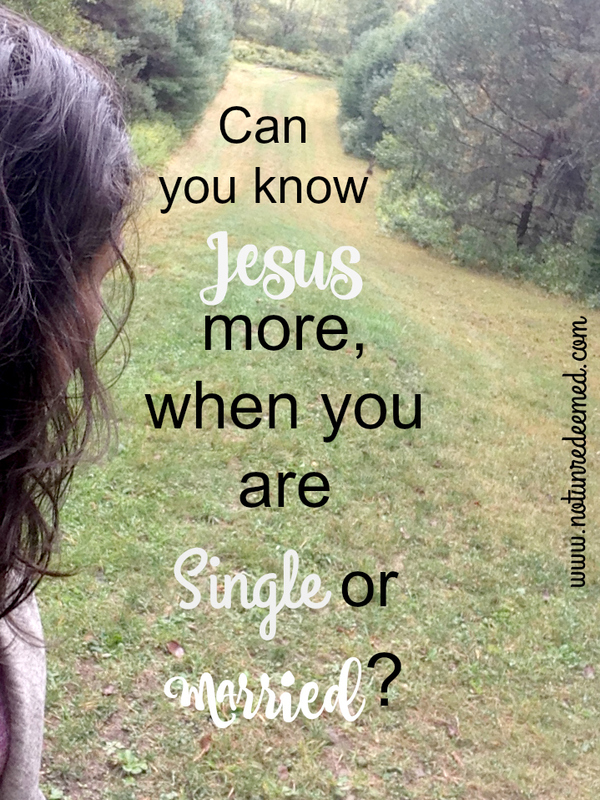 *The truth in the answer to the question “who is Jesus to you?” has not always been pretty in my life. It’s ok, if it’s not in yours right now either. There has never been a more wonderful time than now to repentant and thank Him for revealing Himself to you. 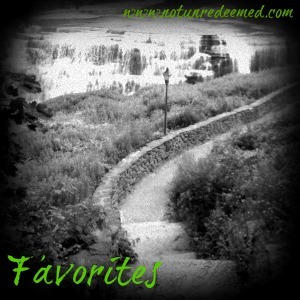 Categories: Discipleship, Idenity, musings, Q & A | Tags: Discipleship, Musings | Permalink. Victory, for the Christian, comes down to worth, trust, and position. To start walking in victory we must believe that we are His sons and daughters. We must trust Him that we are what He says we are – not what we feel and think we are. Our greatest stumbling block to fighting from a position of victory is trying to fight on our own, or trying to take over what God is doing. 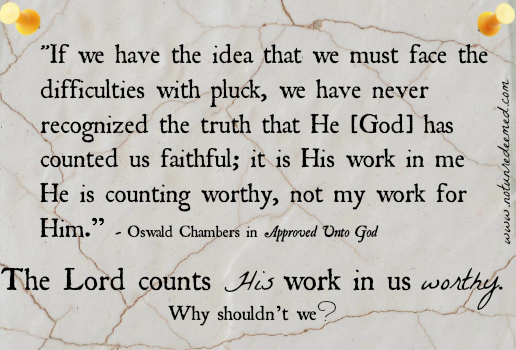 We often don’t trust Him to finish the work He has started in us. We mask it by saying “I don’t trust myself to not …” And while it is good to have a healthy respect for our weaknesses, what we are really saying is “God, the work you are doing in my heart isn’t enough, I don’t trust that the work you are doing in me will stick.” That line of thinking will handicap us far greater than we can ever imagine! 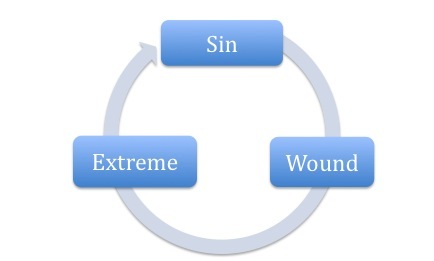 While God wants to take us to new heights and depths with Him – gaining victory over new territories, we are stuck guarding a piece of ground long conquered and the presence of our distrust (aka –pride), opens that territory back up to sin because we are back to fighting for victory again, thinking we can do this by our own determination. Twice in the books of Timothy, Paul urges him to guard the deposit that was put in him. We do have to guard the things the Lord does in us but Timothy is instructed to guard them by the power of the Holy Spirit – not by his own strength and or will. The Lord has impeccable judgment. He will not waste His time or cast His pearls before swine. If He is doing something in you – enabling you to fight from victory – than He has counted you worthy. 1 Tim 1:12 says that Timothy was judged faithful for ministry. Counting what the Lord has done for us as enough, worthy and true is what makes the difference of whether or not we will be able to fight and overcome sin in our lives. It is the difference between fighting for victory and fighting from victory. What position are you fighting from right now? 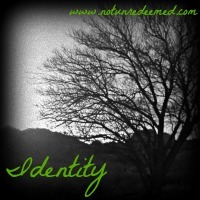 Categories: Discipleship, Idenity, series | Tags: Discipleship, Identity | Permalink.